Only Starcraft offers pontoons boats with endless features and stylish designs. Their industry-leading deck construction is designed to give you years of strength & reliability. Starcraft’s unique material use is why Starcraft can back its industry-leading construction with a limited lifetime warranty on every product. Gulf Marine is an authorized retailer and service center for Starcraft marine. Please contact us for expert care of your boating needs. Starcraft pontoon boat innovation continues with the all-new SLS series, featuring HMX tubes. With strategically placed strakes, HMX tubes give you better lift, less surface drag, increased speed, faster planning and a tighter turning radius. In short, it’s one exciting ride. The Stardeck CX Fish pontoon series combines the excitement of fishing with the comfort of pontoon living. Outfitted with an aerated livewell, lockable rod storage and a rear fishing station, you can relax and cast from deluxe swivel fishing seats knowing you're equipped with the best in fishing and pontoon amenities. Discover the ease of pontoon fishing with the EX fish. These affordable pontoons combine serious fishing amenities with upscale features that far surpass others in this class. Choose from six great floor plans, each with swivel fishing seats, a livewell and lockable rod storage. 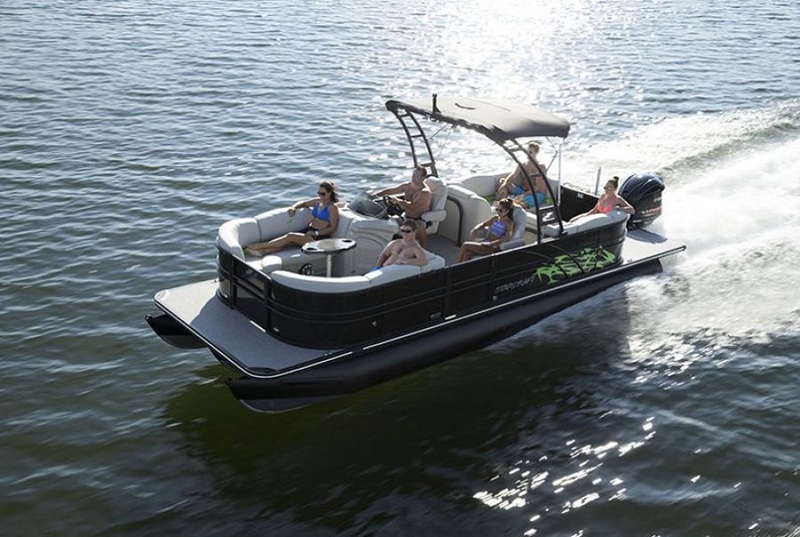 All-day fun awaits you and your crew in a versatile EX fishing pontoon.